Below you fill find all funeral homes and cemeteries in or near Papillion. Suburbs of Papillion: Bellevue, Omaha. Papillion is also known as: Sarpy County / Papillion city and Papillion, Omaha. Zip codes in the city: 68046, 68133, 68157. Sarpy County funeral flowers can be purchased from one of the local funeral shops we partner with. Some of the notable people born here have been: Abbie Cobb (actor and author), and Tyler Cloyd (baseball player). Papillion is a city in Sarpy County in the State of Nebraska. 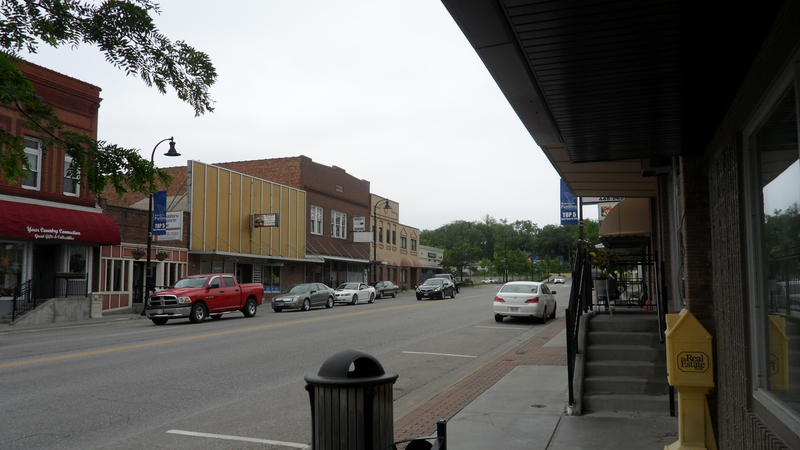 It is an 1870s railroad town that is part of the larger five-county metro area of neighboring Omaha, and is the county seat of Sarpy County. The population of Papillion was 18,894 at the 2010 census. It was written by Superior Express on March 7th, 2019 that Tashia Nicole Mumm perished in Papillion, Nebraska. Mumm was 23 years old and was born in Yankton, SD. Send flowers to express your sympathy and honor Tashia Nicole's life. It was disclosed by Kearney Hub on January 12th, 2019 that Lois Genevieve Shoop (Pritschau) passed away in Papillion, Nebraska. Ms. Shoop was 88 years old. Send flowers to express your sympathy and honor Lois Genevieve's life. It was noted on January 4th, 2019 that Harold Arthur Jr Stewart died in Papillion, Nebraska. Stewart was 72 years old and was born in Olympia, WA. Send flowers to express your sorrow and honor Harold Arthur Jr's life. It was noted by Hastings Tribune on December 31st, 2018 that Asha Ann Chaudhuri passed away in Papillion, Nebraska. Chaudhuri was 25 years old. Send flowers to express your sorrow and honor Asha Ann's life. It was written by Grand Island Independent on October 19th, 2018 that Michael John MD Horn passed on in Papillion, Nebraska. Horn was 62 years old and was born in Council Bluffs, IA. Send flowers to express your sympathy and honor Michael John MD's life. It was written by Hastings Tribune on September 27th, 2018 that Mary Belle Graham (Evans) perished in Papillion, Nebraska. Ms. Graham was 91 years old and was born in Bates Co, MO. Send flowers to express your sorrow and honor Mary Belle's life. It was written by Kearney Hub on August 28th, 2018 that Gerald L Dr "Gary" Henderson passed on in Papillion, Nebraska. Henderson was 68 years old. Send flowers to express your sympathy and honor Gerald L Dr "Gary"'s life. It was disclosed by Grand Island Independent on August 27th, 2018 that Eugene "Gene" "Lefty" Cerny perished in Papillion, Nebraska. Cerny was 79 years old and was born in Burke, SD. Send flowers to express your sorrow and honor Eugene "Gene" "Lefty"'s life. It was revealed by McCook Daily Gazette on April 24th, 2018 that Virginia Lee McDowell (Short) perished in Papillion, Nebraska. Ms. McDowell was 93 years old. Send flowers to express your sorrow and honor Virginia Lee's life. It was reported by Grand Island Independent on February 21st, 2018 that Sharlyce R Butler (Gulzow) passed away in Papillion, Nebraska. Ms. Butler was 71 years old. Send flowers to express your sympathy and honor Sharlyce R's life. Papillion is a suburb of neighboring Omaha, Nebraska The town is frequently referred to as Papio. It is the county seat of Sarpy County, Nebraska County. In 2007 Papillion was named the #6 best place to live in the United States by Money Magazine. The population was 16,363 at the 2000 United States Census census. Papillion is a city in Sarpy County, Nebraska County in the US state of Nebraska. The official website for the city of Papillion is https://www.papillion.org/. Find BBB Accredited Funeral Services near Papillion, NE. Your guide to trusted Papillion, NE Funeral Services, recommended and BBB Accredited businesses. Find BBB Accredited Funeral Directors near Papillion, NE. Your guide to trusted Papillion, NE Funeral Directors, recommended and BBB Accredited businesses. funerals in Papillion, NE 68046 on Yahoo! Local Get Ratings & Reviews on funerals with Photos, Maps, Driving Directions and more. We work with local florists and flower shops to offer same day delivery. You will find budget sympathy flowers in Papillion here. Our funeral flowers are cheap in price but not in value.